Please complete our REGISTRATION FORM before purchasing classes below. 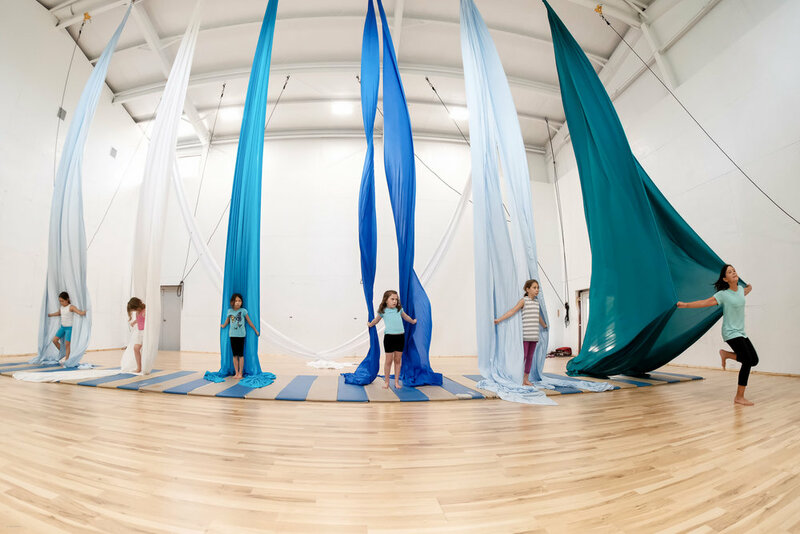 Kids learn aerial silks and work together to make an original aerial dance to perform at the end of the week. Classes meet Monday-Friday, 10-1pm. Each group creates their own unique dance piece, emphasizing communication, collaboration, and safety while learning creative exploration. At the end of each week, friends and family are invited to see each class perform their unique aerial dance creation.